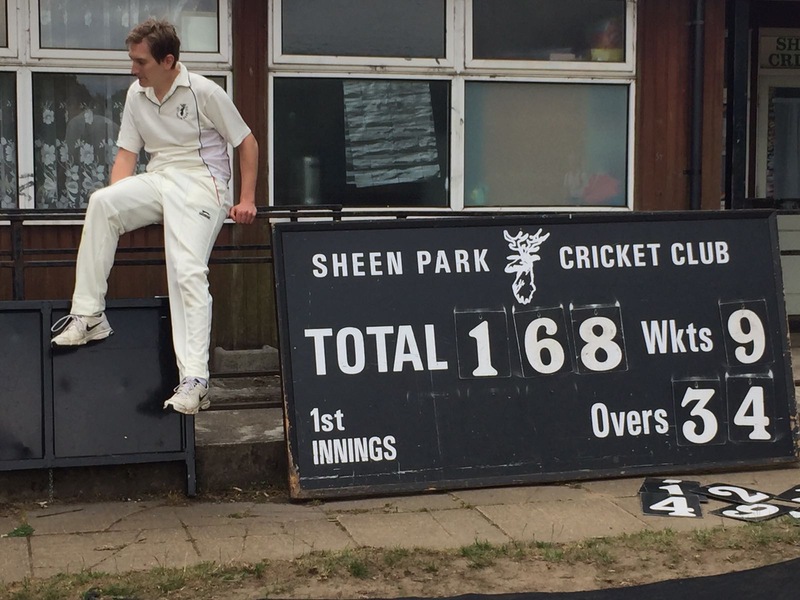 Match report away to Sheen Park CC 24th June 2018 – won by one wicket! A glorious afternoon saw Graces travel to posh leafy Sheen in south London. Manish was skipper for his second game , could he make it a 100% success rate? The toss lost Graces fielded on a flat wicket with a lightning outfield , Jonner’s colleague Tauseef helped out as we had some absences. Sheen are a youthful team with just 2 of their team appearing to be over 25! 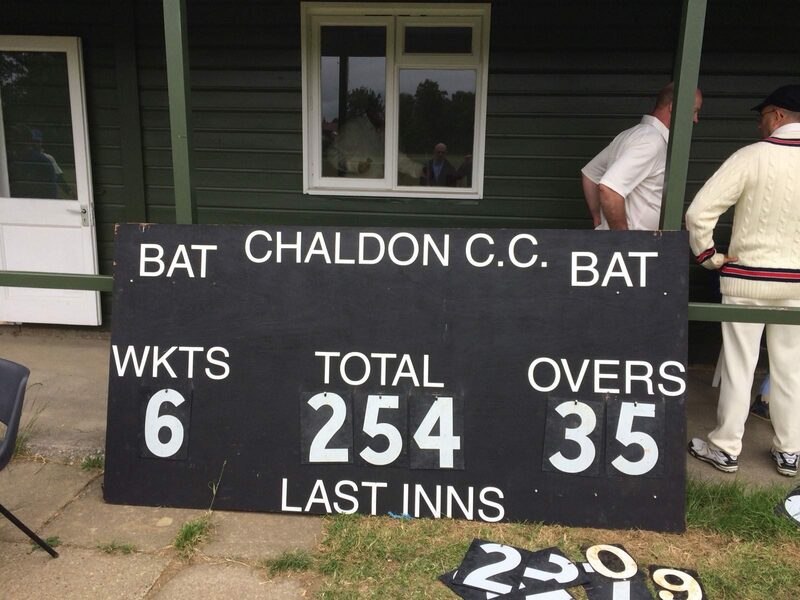 Mr Ashbury opened with Mr Smith against Newton and Neil – they signalled their intent with some attacking shots that raced away to the boundary taking the score rapidly to 63 in the 12th over before first change bowler Mamun bowled Smith for 16. Yusuf in at 3 at first played a supporting role helping the score to mount ominously – at 20 overs Sheen were 148 for one and a mighty score looked on the cards as the Sheen batsmen continued to play their shots. In the 24th over Neil caught Ashbury on the boundary for a classy 80 off Ronnie. Manish rotated the bowlers and Graces continued to battle – Burly Jones in at 4 played some crunching shots until Manish had him LBW for a rapid 47. Yusuf had been compiling steadily until Scotty caught him behind for 47 – 202 for 3 off 37 overs. Graces then took 7 more quick wickets leaving the target at 235. 250+ had looked possible at one stage but some good bowling slowed the run rate down , Manish and Mamun being the pick of the bowlers with 3 wickets each. Neil then joined Scott and this pair then took the attack to Sheen with some great shots – Neil eventually playing on for 33 off only 19 deliveries including a mighty straight six. Skipper Manish then joined Scott and continued the attack. Scott in the meantime had reached a fine 50 – he was eventually caught for an entertaining 70. Tauseef was in at 7. Manish seems to thrive on the captaincy and proceeded to play his usual busy style with lots of quick running together with some fine boundaries. The run rate was kept up with Sheen going a bit quiet as Graces score continued to mount. Despite not playing for a few seasons Tauseef showed himself to have a lot of ability until he was runout somewhat controversially for 21 (210 for 6 in the 33rd over) Manish skied one to square leg which was promptly dropped. Tauseef had stayed in his ground as Manish ran. The fielder the ran in to break the striker’s wicket by which time Tauseef decided he’d better get going! Did they cross before the wicket was broken was the key factor. After a discussion between the umpires Tauseef was given out – a decision that caused a bit of dissent among Sheen as they would have liked Manish to go. Mamun came in at 8 shortly after which Manish was run out going for a second run for a priceless 54. Sam was then caught behind and when Ronnie was bowled Sheen must have thought the game was theirs. Mamun had other ideas and his trusty pull shot came into effect with Jonners in at 11 dropping anchor to support him. 224 for 9 in the 37th over became 230 in the final over. Sheen bought their pace man in to bowl it and a wayward 3rd delivery evaded the keeper and raced away for 4 byes. So yet another nail-biting match for us! I don’t think Graces have any nerves left after the 4th incredibly close match so far. Next week sees us visit Kingstonians.